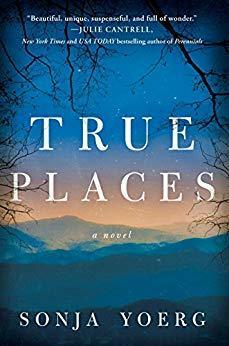 Suzanne Blakemore hurtles along the Blue Ridge Parkway, away from her overscheduled and completely normal life, and encounters the girl. As Suzanne rushes her to the hospital, she never imagines how the encounter will change her—a change she both fears and desperately needs. But Iris has an independence, a love of solitude, and a discomfort with materialism that contrasts with everything the Blakemores stand for—qualities that awaken in Suzanne first a fascination, then a longing. Now Suzanne can’t help but wonder: Is she destined to save Iris, or is Iris the one who will save her? I grew up in Stowe, Vermont, the daughter of a ski instructor. In my first incarnation, I was a animal behaviorist who studied learning in blue jays, hyenas and kangaroo rats. I wrote a book about that. Now I make stuff up.